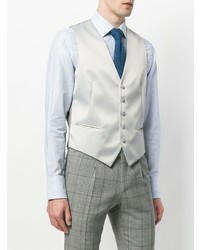 Wear a Tagliatore satin waistcoat from farfetch.com and navy jeans to ooze class and sophistication. For something more on the daring side to round off this getup, rock a pair of brown leather casual boots. 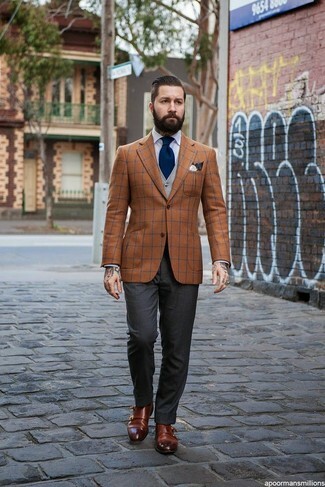 Choose a Tagliatore satin waistcoat and khaki plaid wool dress pants like a true gent. 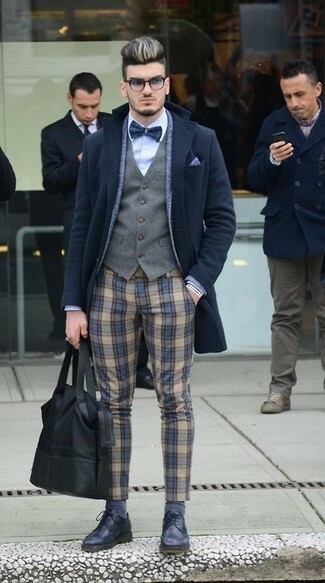 For something more on the daring side to complete this look, go for a pair of black leather derby shoes. 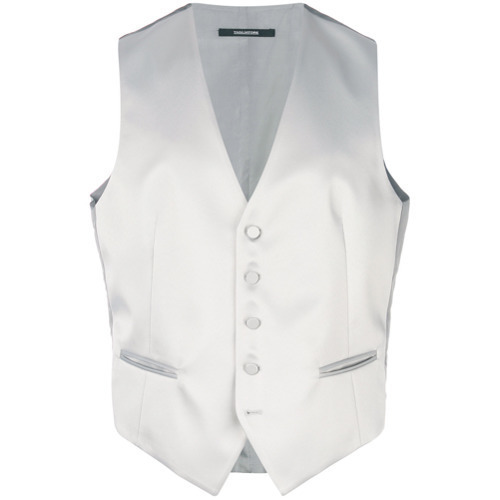 For a nothing less than incredibly stylish getup, try teaming a Tagliatore satin waistcoat with grey dress pants. 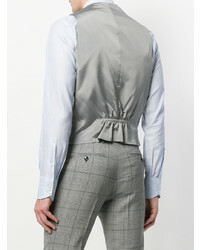 Consider wearing a Tagliatore satin waistcoat from farfetch.com and black jeans for a sharp, fashionable look. 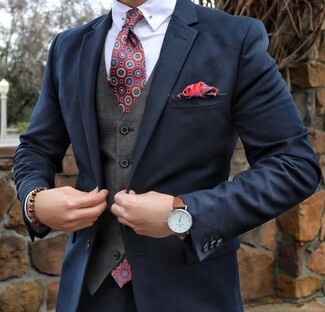 Consider wearing a grey waistcoat and white chinos for a sharp classy look. 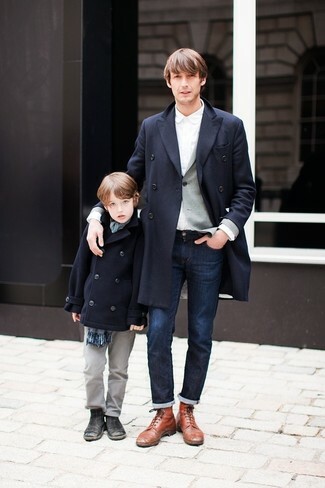 When it comes to footwear, this outfit pairs wonderfully with brown leather monks. 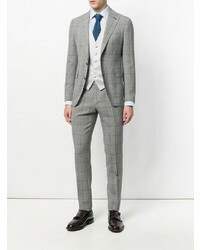 Rock a Tagliatore satin waistcoat with charcoal dress pants for a classic and refined silhouette. Add a more relaxed feel to your getup with dark brown leather double monks. 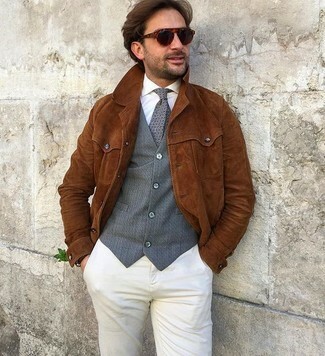 A grey waistcoat and beige chinos are great essentials to incorporate into your current wardrobe. 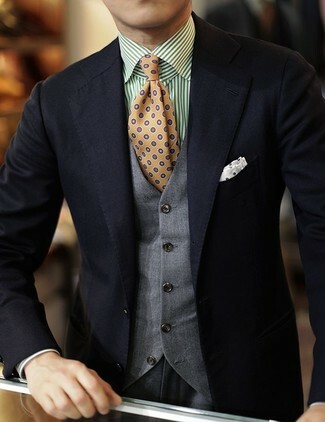 For a nothing less than incredibly stylish ensemble, marry a Tagliatore satin waistcoat with a navy suit. 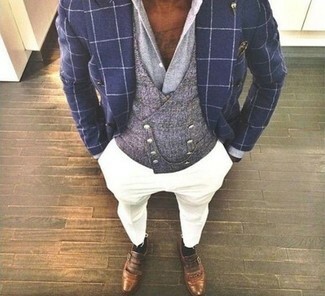 Go for a Tagliatore satin waistcoat and beige check dress pants for a sharp classy look. Break up your getup with more casual shoes, like this pair of beige suede derby shoes.